The ripple effect of this may see more people turning to online as they seek to get their news from disparate sources instead of sources that are owned and controlled by a single organisation. Thatâ€™s according to Morris Miselowski, an Australian Futurist and Business Future Forecaster. He is a speaker at the marcus evans Australian CIO Summit taking place on the Gold Coast on 25-27 July. Miselowski says the damaging allegations that are playing out every day in the news will have long term ramifications for the future of the media and business in general. He questions the need for such a dominant media conglomerate looking into the future and says this scandal could expedite the dominance of online communications. Miselowski questions the purpose and need of such an empire looking into the future. â€œDo we require what he does? He provides media, insight and thinking and has done that for a very long time. 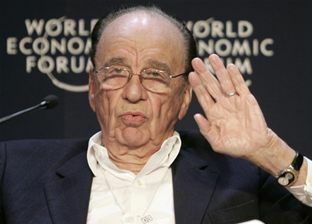 He is not someone who has been chastised or criticised very much by the press or in public comment â€“ most of that is because he owns most of it so he can curtail it. What I find interesting is what has been written about him in the last week and the visuals that are being shown about him. The ripple effect in the wider business world will be a change in communication, Miselowski adds. â€œIf what the doomsday people are talking about and it goes to the extreme and his empire collapses I think we will then push quicker in this social media and online communications, which we have been doing anyway. But rather than it happening over the next two, three, five years I think it will happen sooner perhaps over the next 12 months. â€œPeople will become more and more accustomed to finding their news in other spaces. If theyâ€™re not going to value his newspapers â€“ and the vast majority of the population would get their news from something that he touches, owns or has influence over. I think people will not be so interested in such a single source and will look for a multi-source and will turn to online and get their news from disparate sources,â€� Miselowski predicts. The marcus evans Australian CIO Summit will take place on the Gold Coast on 25-27 July. Join us for the marcus evans healthcare series.